If I wear a ring on my left hand ring finger, does that automatically mean that I’m married, and why do some people wear their wedding rings on their right hands, and on which finger do you wear a promise ring, if indeed you wear one at all? There are more to rings than meet the eye. Up until now it’s been pretty straight forward for me – if she or he has a band on their ring finger, left hand, they’re married. Out of bounds. 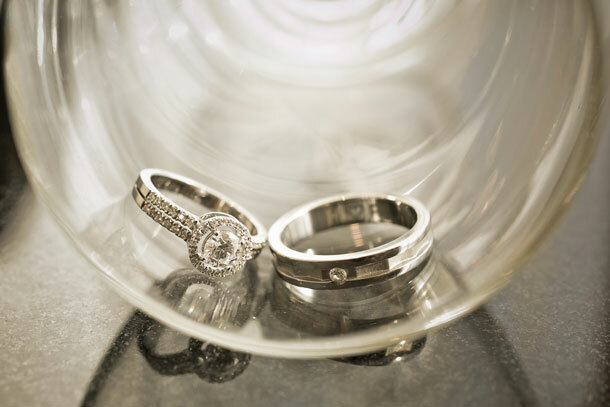 A guy who doesn’t sport a wedding band is not necessarily available, you’ll need to probe a little deeper. Neither is a woman, although she’s less likely to be without her wedding band. There is apparently a saying that goes: ‘the left hand is for thee, the right hand is for me’ – the understanding being that the left hand is traditionally the hand for a wedding ring. So what about right hand rings? For women, at least, right hand rings are designed differently. They tend to have more of a ‘cocktail’ feel about them – they’re seldom simple gold bands, and tend to be clusters of stones, or one large ‘dress’ stone (not necessarily precious or semi-precious, sometimes just dress jewellery). But it depends what culture you are from, as to which finger your wedding ring is going to occupy. Whilst the UK and the US (and SA) wear their wedding rings on the left ring finger, many continental European countries use their right finger. More and more frequently then, as borders come down and people live and travel all over the world, wedding rings appear on people we meet on fingers other than those on which we wear our rings. And what about engagement rings, should they go on the left finger? And does the wedding band then live in front of or behind the engagement ring? Traditionally the engagement ring rests in front of the wedding band on the ring finger, but again, this is open to interpretation and anything goes. Some people wear them apart, believing that placing two rings alongside one another damages both rings. Where is a good place in South Africa or specifically Cape Town to buy a promise rings?